This is a follow up of the Dr. Jones-ACELL announcement previously posted on HairSite. 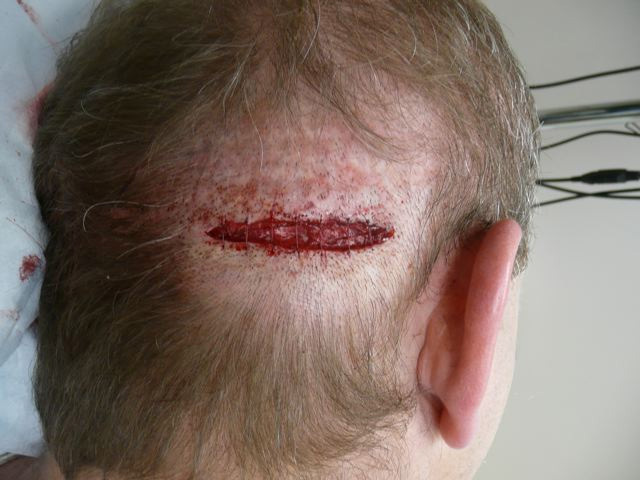 As of October 30th, 2008, Dr. Jones had officially tested the ACELL wound regeneration product on one of his patients. 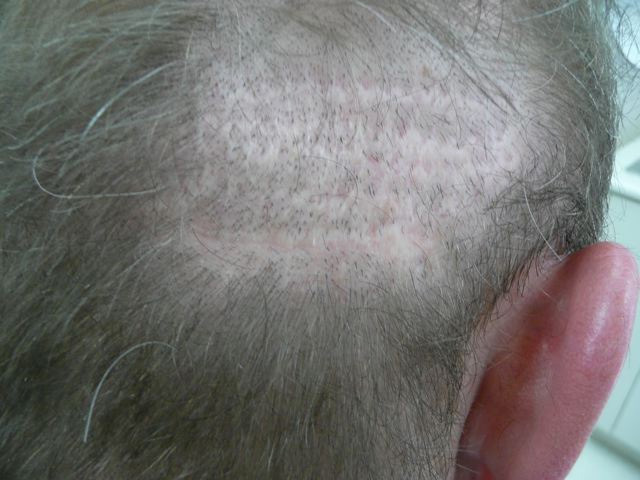 The patient had multiple hair transplant procedures before. 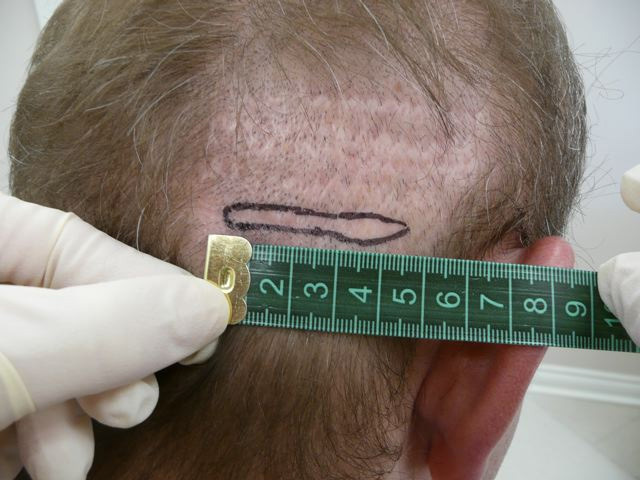 This is the first ever documentation of ACELL product being used on hair transplant patients for scar repair. We do not know how well this product will work in regenerating the donor site at this point. Please do not overreact, be realistic with your expectations. Dr. Jones will provide more update and details of the experiment shortly. There might be more open slots for the ACELL trial at Dr. Jones clinic in the coming weeks or months. Email hairsite@aol.com if you wish to be considered for the experiment. » Dr. Jones will provide more update and details of the experiment shortly. Good luck Dr. Jones…btw was kind of transplant was it that the patient had? FUE, Strip…?? I’m just curious, I hope the best for results. But can you tell me why he is not trying acell for follicular regeneration? acell will be tested only to solve scar? Would hair be growing in the scar area usually or not, I’ve never had any contact with these treatments so i don’t know what you would expect if they hadn’t used Acell. I don’t know why my post is above yours by the way. For me it seems as if there is at least no scar to see which would normally be the case by strip surgery. Acell really works!!! Now lets wait and see if there will grow hair in that area. What do you guys think about these pics? I’m not sure what to think about them. 41 year old male with numerous previous surgeries and scarring as a result. Scar was excised, wound was rinsed with saline, acell powder was generously applied to the exposed tissue. Two layers of Acell Wound Sheets were applied over the powder and the sheets were held in place with 5-0 gut. The patient will give me updates daily and take pictures as it heals. David, could you please ask Dr. Jones for before-pictures? » overreact, be realistic with your expectations. » considered for the experiment. » David, could you please ask Dr. Jones for before-pictures? » » transplant procedures before. » » overreact, be realistic with your expectations. » » considered for the experiment. » » patient, please email hairsite@aol.com immediately for details. » » you might have to incur to get to his clinic in Toronto, Canada. » » At this point, it will be tested on patients with existing strip scars. » » basis. Priority will be given to Canadian residents. » » strongly advised to speak to representatives at Acell as well as Dr.
» » with the treatment before signing up as a test patient. » » This announcement is posted on behalf of Dr. Robert Jones’ clinic. » » HairSite is NOT involved in this experiment in any way whatsoever. » » HairSite@aol.com. Dr. Jones can start the treatment now. Look at the last picture! 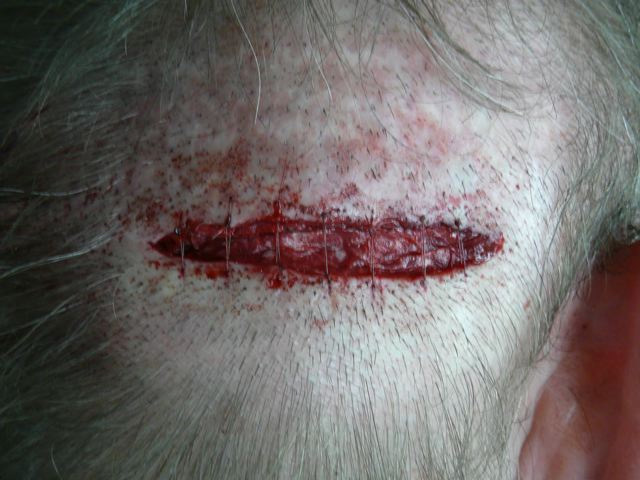 If think there is hair in the old scar! It will really be exciting to see if ACELL can lessen the strip scars a great deal. If it can grow some hair in them, it would be a tremendous advance. But it IS BEING TESTED by doctors like Jones with solid reputations in the business, and that in itself is promising. Robert Jones wouldn’t fool with ACELL if he thought there wasn’t some chance of success. It will be “better” when a patient is “tried” that doesn’t have such profound scarring back there has a strip surgery with the stuff. The man in the photo has a head that has really been worked over hard in several surgeries dating back to the old drill-bit plugs era. I really hope this fella gets some improvement. Scarred, Scarred5, and all the others (who had to get through HT surgeries and scars)…Please See the pictures and give us your feedbacks , you have surely the eye to judge the results…Do it with no delay please !! » surely the eye to judge the results…Do it with no delay please !! What results? The test has just been done. It is not after pictures we are looking at, it is before pictures (bottom picture) showing how the scare looked like before he cut out that nasty wound (top picture). Wait a month. » » surely the eye to judge the results…Do it with no delay please !! » looked like before he cut out that nasty wound (top picture). Wait a month. huhh sorry ! Let’s wait a month then, I think they got me wrong the guys asking for before pictures and telling the results are good…So Basically those are the before pictures. Let’s wait for the results, Fingers crossed. People on this board want to believe so badly that they won’t even bother to read, this was done only a few days ago and some are screaming for results already. » » had? FUE, Strip…?? It would have been better it he tried it on FUE, so we could see if it creates any new hair. So then what do you want me killed ? » So then what do you want me killed ? No more blood, please, we have enough with that acell pic. » Look at the last picture! » If think there is hair in the old scar! » Do you see it too? No there is no hair in the scar area. The page says it is this the before pic and then the image above it is after excision? I guess so.